We all know that carpets have become a common possession in our homes. While they beautify our homes, they require thorough care too. It’s obvious that people can clean their carpets by themselves. However, the right materials for carpet cleaning are tough to find and are not economical to possess if the carpet needs to be dry cleaned or wet washed. 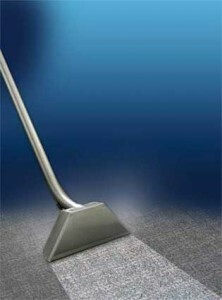 Though there are several carpet vacuum cleaners available, still cleaning a carpet at home is also a very physical task. Moreover, vacuum cleaners fail to remove dirt that is stuck to the fibers of your carpet. Steam cleaners are effective but they never use conditioners that bring the shine and softness back to your carpet. We know that you agree with all this. So, we are here to render our services to you. Our expert cleaners will remove every bit of stain and dirt from your carpets without causing any damage to it and your carpet will look like a new one again. We use the best cleaning products on the market so you can be assured of the quality of your carpets. We service daily, so, whenever you want your carpet to get a professional cleaning touch, you can contact us. We also provide emergency services as well as damage repair. However, for any kind of damage repair we need to be informed when contacted. We have earned our customers through quality services and are considered very reliable and transparent in our terms of services. We don’t have any hidden charges whatsoever.